To honor George and to reduce the steadily growing avalanche fatality rate in Colorado to zero we will annually provide scholarships for AIARE Level 1 courses backcountry enthusiasts who ski, snowboard, split-board, snowshoe, or climb in Colorado. The George Dirth Memorial Scholarship will contribute a number of scholarships dependent on the funds raised. Scholarships awarded in past years went to people who had awesome ways to give back to the back country community, such as, volunteering for Search and Rescue, planning on putting together a back country medical course to be tagged onto AIARE courses, working with deaf backcountry travelers to help them be safer. Scholarships are prioritized based on the give-back. 1. Our goal for the 2018/19 ski season is to again be sponsoring $1500 in partial scholarships for up to six scholarships of up to $250 for AIARE Level 1 avalanche education courses for people who go backcountry on skis, snowboards, or splitboards in Colorado or Utah. Scholarships may be applied to any of the Colorado or Utah avalanche education providers who give the AIARE certified course. Partial scholarships require a commitment from the student for a portion of the program tuition. All scholarships will be paid directly to an AIARE provider. Please provide the name and contact information of the provider of your choice. Recipients must use scholarship money during the 2018/19 season or the scholarship will revert to the fund for distribution the next year. This scholarship of up to $250 will be paid directly to the provider upon proof of course completion. 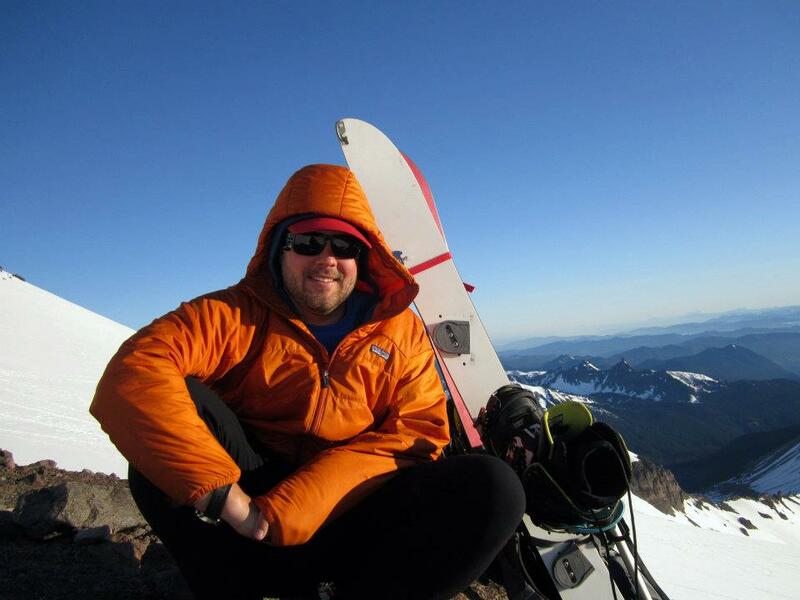 The course provider who presents an American Institute for Avalanche Research and Education (AIARE) course, course dates, a brief candidate resume/bio describing specifically why you need this education and what you will do with it. Essentially, scholarship candidates must explain why they should receive a scholarship. How you will give back to the backcountry community to advance avalanche awareness, safety and education; applicants who will use the training to either promote further avalanche education or through generating funds to allow continuing the scholarship program will be given favor. Suggestions for give back opportunities are listed below. What type of activity do you do in the backcountry. Why you need help to afford this education. The deadline for applications for the 2018/19 season is December 31, 2018. Applicants must have the equipment as outlined on the AIARE required equipment list. Help with a fund raising event for the scholarship fund planned for by the George Dirth Memorial Scholarship Fund. Get your favorite equipment store to sponsor a scholarship (it is tax deductible). Sponsors of a full scholarship or more get a link on the George Dirth Memorial scholarship webpage. Get 10, 20, 30… people to donate $10, $20, $30… to the George Dirth Memorial Scholarship Fund through AIARE. Every little bit adds up. By helping others to get avalanche education and training you may be saving your own life. Get matching funds from your employer for donations you have secured. AIARE is a 501(c)3 nonprofit educational organization so all donations are tax deductible. 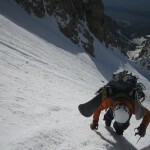 If your parents are greatful you received a scholarship ask them to make a donation (http://avtraining.org/donate/) to help those you may be backcountry with to save your life. 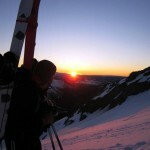 Make an avalanche safety video and post on backcountry sites. Teach a class at a local school to educate kids about the risks. 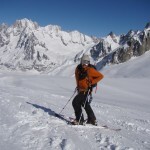 Help with classes through FOBP or other entities giving avalanche awareness classes. Please let us know what you have done to further the level of avalanche education in the backcountry. This effort is not self sustaining, we need donated funds to continue to keep you safe in the backcountry through education. Remember you can save someone else but others need to be educated to be able to save you. Don’t let the decline in fatalities lull you into complaisance, there are increasing numbers of people and therefore uneducated people out in the backcountry every year. Get educated and help to educate others so we achieve the goals of Project Zero (zero avalanche fatalities) otherwise known as The Avalanche Project.